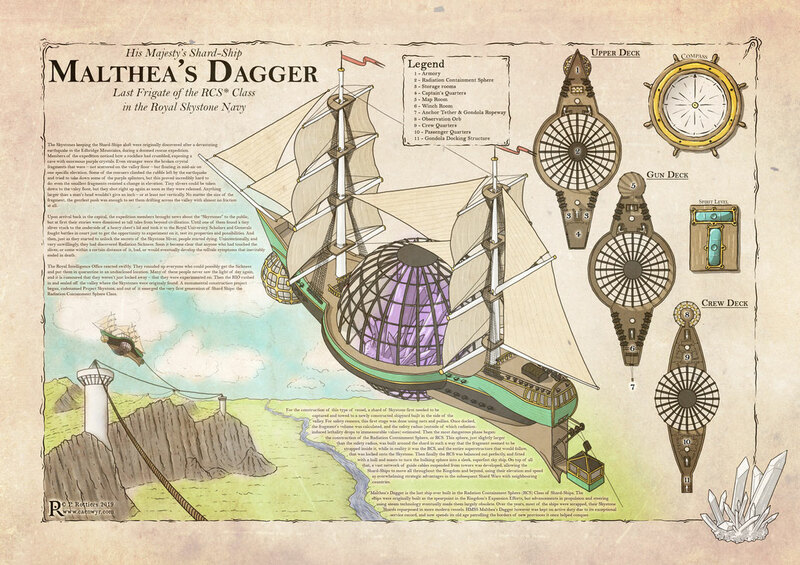 The image below shows His Majesty's Shard Ship Malthea's Dagger, the last in a fleet of so-called Shard-Ships of the first generation, since supplanted by more modern (but not as formidable looking) vessels propelled by steam engines instead of sails. The crystal in the huge spherical cage is what keeps the ship in the air. If you want to know more about the history of this class of ships or the crystal that keeps it aloft, be sure to check out the explanation in the image!